The exhibit's grand opening reception will feature special guest speakers. The reception will being in the Library's Jack and Florence Ferman Presentation Room and end with a tour of the exhibit along with refreshments in the 2nd Floor Library Exhibit Gallery. 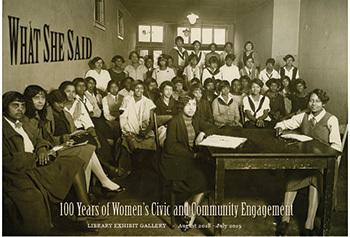 On display are selections that document the civic and community participation of women in Los Angeles and across the United States.